Dan Martin battles the rain! Battle between Rui Costa and Majka! I am continually in awe of your work and the spirit you capture with color and line. Absolutely beautiful art! Can’t wait for tomorrow’s stage at Mont Ventoux! 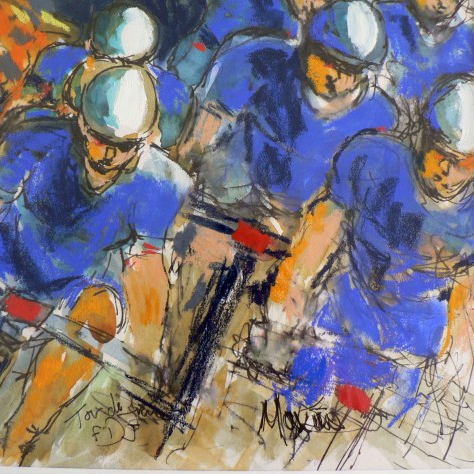 As always really enjoying your work which beautifully conveys the magnificent pageant that is the Tour de France. Love the one in the rain (the first one) and the lone blue guy. Really conveys wet!